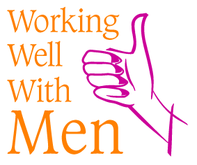 Working Well With Men (WWWM) is the private social work practice of Jack Kammer, MSW, MBA. Like most private social work practices, WWWM operates on a fee-for-service, value-for-value basis. Unlike most private social work practices, WWWM operates at the macro level, providing capacity-building services to agencies, schools, organizations and workers rather than psychotherapy or other direct services to clients. We neither seek nor receive government or philanthropic grants. We are a social enterprise, seeking to do well by doing good.